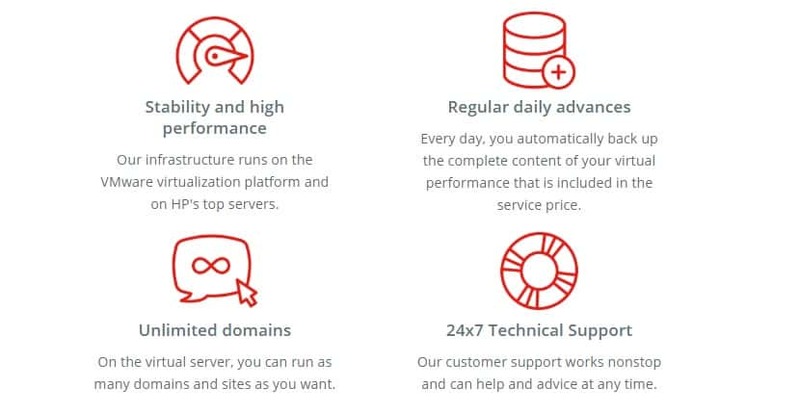 AVONET Review 2019: Is AVONET a Good Hosting? Avonet is a Czech IT company that was founded by the Dusan and Tomas brothers in 1996. Although they specialize in home and business internet services, they also offer VPS hosting solutions, SSL, and domain registration services. The company serves thousands of customers across the Czech Republic. Avonet provides a range of home and business internet solutions in addition to web hosting, domain registration, VPS and server hosting to thousands of customers in the Czech Republic since 1996. Some of their customers include Bata Lukrom and Sykora. The company’s servers are located in a secure and air-conditioned facility Zlin. I could talk about 101 things regarding Avonet but what stood about for me is the stability and performance of their dedicated servers with Vmware virtualization technology. Their high performance HP machines guarantee 100Mbps server connection. With two independent and high speed ISPs, your website is easily accessible from anywhere on the globe. Every day, they carry out automatic back up of your websites and databases. Local domestic backups ensure that you never loss any of your valuable data. They store data on storage servers that are fully protected by RAID5. So there’s no question about availability of data too. Within minutes, you can restore data to the last backup instance. Server administration is a simple and hassle-free experience. Thanks to their VPS Manager, you manage every aspect of your server through a user-friendly control panel. You can obtain administrative access via SSH, VNC, and Web browsers. Their remote console lets you install your preferred OS on the server, reboot it, and monitor its performance round the clock. If you don’t have time to manage your server, you can leave it to their experts. Avonet comes across as a “jack of all IT solutions” including web hosting. It’s such a pity that they don’t provide shared hosting plans. Their VPS and server hosting solutions (equivalent of dedicated servers) are pricey and shallow in terms of features. I believe you’ll find better hosting companies that offer more hosting features such as website builders for much less. For now, you can sign up for monthly, quarterly, semi-annual, or annual hosting plans. Avonet provides support in Czech language only. It’s understandable since 99% of their customers are locals. Support is available via email, their online contact form, Facebook, and telephone. Typical replies are within a few hours. If you need urgent assistance, I’d advise you to contact their live operators between 7.00am to 8.00 p.m. (GMT+1). They’ll be able to assist you with server set up, software installation, and other issues. Though Avonet has shallow hosting plans, it does a commendable job of supporting the digitalization of small businesses via VPS and dedicated hosting solutions. Check out AVONET’s web hosting options today! Wondering how AVONET stacks up against other Web Hosting companies? Enter any other Web Hosting company and we will give you a side-by-side comparison.